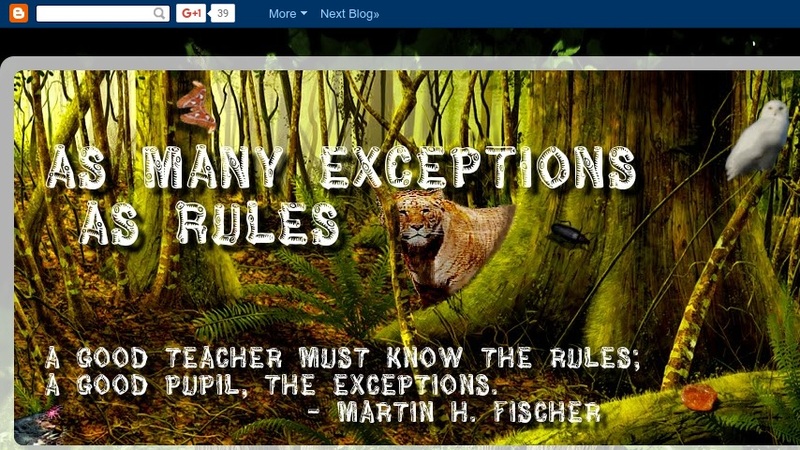 As Many Exceptions as Rules is a STEM science teaching blog resource that focuses on biology core concepts. To increase student engagement in this field, it reinforces core concepts in biology using fascinating examples of organisms that do not follow established biological rules. Through these exceptions, knowledge of core concepts are redefined and strengthened without focusing exclusively on the overused examples and mundane teaching patterns. A more detailed rationale for the form of the blog is given in the initial post. Each story is explained in plain English, with definitions and etymology of important terms. Teaching resources, including classroom activities and laboratories are included in each post.